– 7:15pm to 8:25pm Basics. – 8:30pm to 9:30pm Advanced. – 7:15pm to 9:30pm Advanced. – 7:15pm to 8:25pm Advanced Iaido. – 8:30pm to 9:30pm Advanced Kendo. – 7:15pm to 9:30pm Assigned according to needs or special instruction. The Greenhill School is located North West of Midway and Spring Valley Roads. 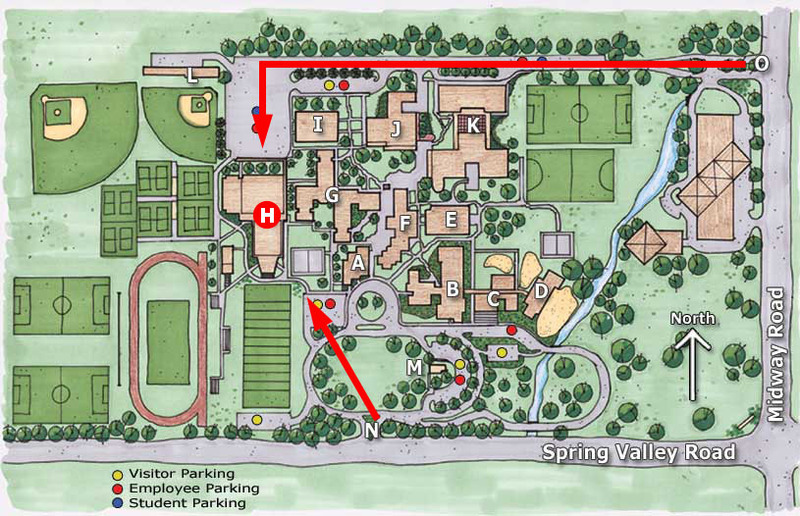 The school (and the main Gymnasium) are best accessed from Hornet Drive – O (the first street-light North of Spring Valley Road).